The Osher Foundation has annually supported scholarships for reentry students at UH Hilo since 2007. 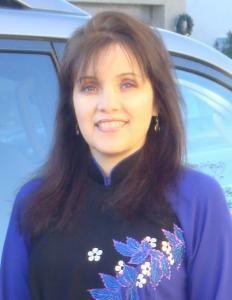 Shirley Dellinger, UH Hilo graduate and a Osher Reentry Scholarship recipient. HILO – Returning adult students at University of Hawai‘i at Hilo now have a permanent source of scholarship support thanks to a $1 million award from The Bernard Osher Foundation. Beginning with the 2012-2013 academic year the Osher Reentry Scholarship Endowment will provide a minimum of 25 scholarships per year, to older students whose education has been interrupted for five or more years. To date The Bernard Osher Foundation has given $3,550,000 to support reentry students at UH Mānoa, UH Hilo and UH West O‘ahu. Students resuming their academic careers after a long absence face a number of challenges that most traditional students do not, such as managing simultaneously the responsibilities of being a student, parent, spouse and employee. Having been out of school and in the workforce or at home raising children for many years, reentry students must reacquaint themselves with efficient and effective ways of learning and studying. “It is absolutely critical that we find ways to remove the barriers to higher education many of our students face. 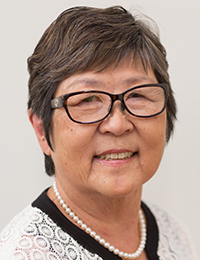 The Osher Reentry Scholarships provide the means for aspiring students to access higher education and pursue careers that lead to an improved quality of life,” says UH Hilo Vice Chancellor for Student Affairs Luoluo Hong. These scholarships are already transforming lives — like that of Shirley Dellinger. “After graduating from high school, I decided to seek employment. College was not an option at that time due to financial hardships,” said Dellinger. “It wasn’t until later, after marrying and having children that I was advised by a guidance counselor to enroll in college.” After attending Leeward Community College, Dellinger transferred to UH Hilo to pursue her dream of obtaining a BBA. She made good progress, but was forced to stop her studies when her marriage of 17 years ended in divorce. In May 2011 Dellinger graduated with honors and a BBA, the first in her family to attain a college education. Since then, she has been promoted to controller and now manages the accounting and human resource departments at Hospice of Hilo. Half of the university’s 4,000 students come from the Big Island. Many are from rural communities in which exposure to and experience with higher education is limited. About 23 percent are Native Hawaiian. UH Hilo has the highest percentage of students receiving financial aid of any of the ten campuses in the UH System. Sixty-five percent of UH Hilo students depend upon some form of financial aid to fund the cost of attending university. The University of Hawai‘i at Hilo is a comprehensive university with five degree-granting colleges, six master’s programs and four doctoral programs. UH Hilo strives to integrate culture and science, offer hands-on learning opportunities to its students and use the Island of Hawai‘i as a natural learning laboratory. Enrollment has doubled since 1980 to over 4,000 students coming from all 50 states and more than 40 countries. www.uhh.hawaii.edu.